There are many ways to describe yourself; like the About Me section in Facebook or Twitter. But there is one powerful way of doing so just wherever you go . . . through scent. A perfume, that sophisticatedly allows your personality to shine through as you walk by. 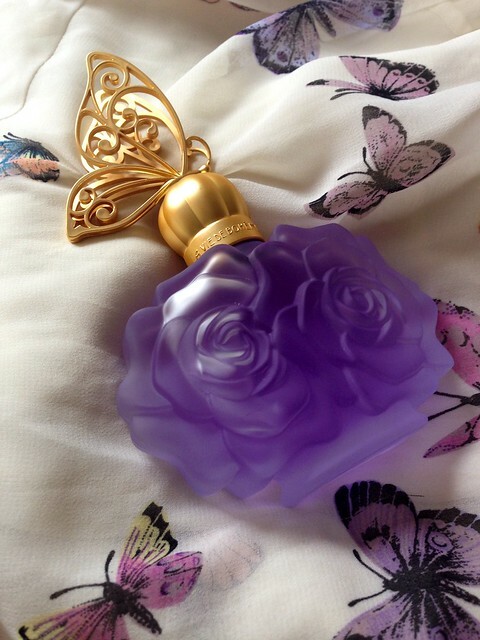 A perfume, that can tell the world without words, your story. 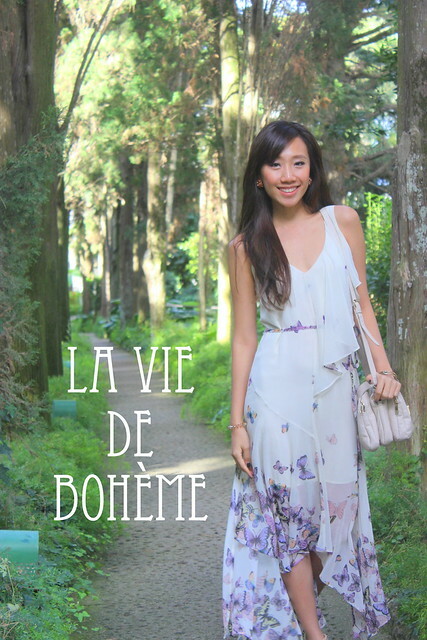 My story, is themed ‘romantic nostalgia’ with an elegant allure – just like the perfume of my dreams: Anna Sui’s La Vie de Bohème, a vintage inspiration in modern interpretation. Have you discovered yours? When i saw this note above about my new found treasure, it’s like i’ve just met a soul mate who wrote me a note about myself. Even i can’t describe myself so precisely – dreamy, romantic, artistic, relaxed, free spirited – those are the very words i live by with each passing day of my life. With every breath i take, i prioritize placing freedom of self-expression above all other desires, learn to live in the moment, and remind myself to always connect with nature. i find myself feeling most comfortable in situations where i can express thoughts in artistic ways – like in this blog, and especially around friends who know how quirky i can be. And there is nothing i treasure more than a good, loyal friendship. 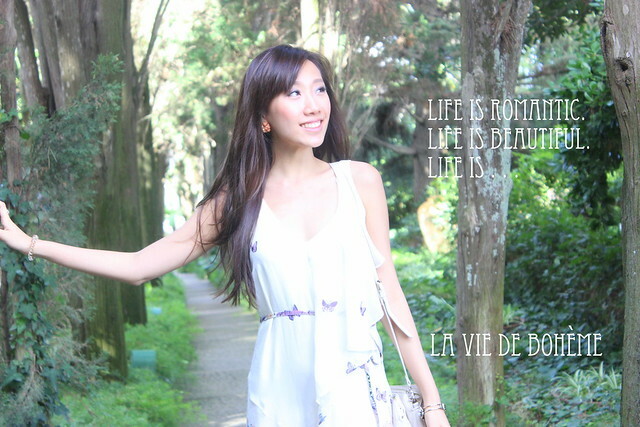 If you are a girl who can easily relate to that and also dream of sunny afternoons at wildflower fields chasing after freedom, happiness and joy, you will definitely fall in love with Anna Sui’s La Vie de Bohème. Spray it on and make the world a better place! The magical potion captured in this pretty bottle inspired by rose and butterfly, opens a world of fragrance with a burst of Turkish rose and sparkling pear, kissed with rich burgundy berries and dragon fruit accord. It then surprises with feminine pink floral scent, sealed with peony notes representing good luck and friendship. If you do have a friend who also lives and breathes the bohemian way of life, this would be an ideal gift. If you don’t . . . well, you know me. That way, i won’t have to buy bottle after bottle for myself anymore! Waaa.. The scent must be sooo good..